(Natural News) While it’s a crime almost everywhere to impersonate a police officer, it’s not a crime to impersonate a healthcare provider, at least not while you’re running for office. 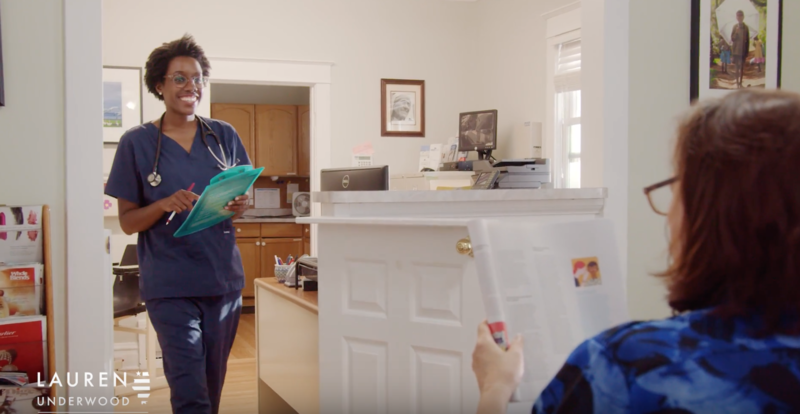 As such, Illinois Democratic congressional candidate Lauren Underwood isn’t likely to suffer any legal fallout for claiming to be a nurse, though she’s never actually done any nursing. In college, congressional candidate Lauren Underwood studied to be a nurse. Not that she ever aspired to work with actual patients. Her University of Michigan classmates spent their summers working at hospitals, assisting doctors and learning on the job. But Underwood headed to Washington, D.C., instead, to intern for then-U.S. Senator Barack Obama. And yet, Underwood is posing as a nurse – wearing scrubs while sporting a stethoscope and carrying what appears to be a patient’s record on a clipboard in a clinic setting – in her campaign ads without ever having performed nursing duties. Her LinkedIn page says that her first post-college job was in 2010 with the Obama administration working on the roll-out of Obamacare. That makes perfect sense; she’s not really a nurse and Obamacare never did live up to Democrats’ claims that it would ‘fix’ our ‘broken’ healthcare system. Her bio further states that she worked “preparing memos and briefing materials” for then-Health and Human Services Secretary Kathleen Sebelius, according to the Kane County Reporter. And while Underwood never wanted to be a nurse and hasn’t practiced as one, the ‘genius’ political consultants running her campaign thought it would be just peachy to lie to her constituents about it. While her bio describes her as a “registered nurse,” she appears to blatantly lie during interviews and speeches about how all of her ‘intimate’ contact with patients are what drove her to run against Hultgren. She even told Now This Politics that, “as a nurse, I have looked into my patients’ eyes when giving discharge instructions knowing they cannot afford the prescription that we’re handing to them,” the Kane County Reporter noted. But in her bio, she has never worked in a hospital setting, a clinic, or anywhere she would have to discharge patients. TV commercials also portray her in “hands-on” situations providing ‘nursing care’ wearing all the garb of a nurse — in an ad that was shot in a Naperville dentist’s office, no less. Like this fake nurse, Obamacare is a phony healthcare reform law. And this was the best the Democrats could field? What is it about their candidates that make them incapable of being truthful and honest? Whether Underwood defeats Hultgren or not is almost beside the point. The fact that she has to lie about her “qualifications” as an alleged member of an esteemed and noble profession should tell Texas 14th Congressional District voters all they need to know about her integrity, or lack of it. Read more about what makes Americans vote Republican at VoteRepublican.news.